Johns Hopkins University Press has appointed Robin W. Coleman as acquisitions editor for public health, global health, and health policy. He will join the Books Division’s editorial department of nine full-time editors and assistants. Coleman will continue to grow a dynamic list that includes top sellers such as Introduction to U.S. Health Policy, Health Disparities in the United States, and Governing Health. The Press’s acquisitions build on the substantial reputation of Johns Hopkins University’s Bloomberg School of Public Health, the leading school of its kind in the world. Prior to arriving at Johns Hopkins, Coleman acquired textbooks and professional resources for the American Society of Health-System Pharmacists. 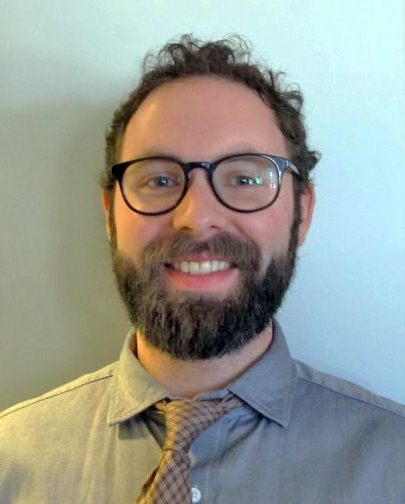 He previously worked as a sales coordinator at Cornell University Press and currently serves as treasurer for Washington Publishers, a professional group based in the D.C. area. He has a bachelor’s degree in writing, literature, and publishing, with a minor in science, from Emerson College. Established in 1878, Johns Hopkins University Press is America’s oldest university press and one of the world’s largest. It publishes 90 scholarly journals and nearly 175 new books each year. The Press is also home to Project MUSE, a leading provider of digital humanities and social science content for the scholarly community. How do you write about a topic on which over 100,000 journal articles, books, conference papers, scientific reports, government plans, and United Nations documents have already been published? The question nagged at me for months. The subject of AIDS seemingly swelled by the day. What angle should I take? Which data should I privilege? What should I drop? Which theory is the most appropriate? How many chapters do I need to write? Eleven? That’s too many, I thought to myself. These days, no one would read a 500-page book on AIDS. The times have changed. Now, there are good antiviral drugs, and in many countries, people with AIDS live a relatively healthy life. Drug prices have come down so much that it’s almost hard to scream at Big Pharma anymore. And the public—donors, the UN, governments, scientists, researchers—have moved on to some other health crisis: maternal and child health; health innovation; health systems. Gone is the era of vertical funding, of disproportionate and distorting funding on any one specific disease such as AIDS. The data must have been fed up with my staring at it for months on end: finally, it seemed to skip my brain and walk straight up to the keyboard. The book was written—poured out—within two months (don’t ask how much time I took to revise, though!). Coming up with the title (Politics in the Corridor of Dying) was a different story. Those six words consumed many minutes, hours, and days of my waking time and my insomniac nights. I toyed with so many versions that I couldn’t keep track. One day, while walking back to my hotel after an interview with a Russian activist from the underground patient control movement, I chanced upon a tiny museum on a quiet street of St. Petersburg. On the brick wall at the entrance hung a poster scribbled with the word “necrorealism.” My curiosity was piqued. I am a big fan of contemporary and abstract art and know a bit about abstract expressionism, Dadaism, minimalism, and even nouveau réalisme, but I had never heard of necrorealism. After researching the movement, I discovered a phrase that became my natural title. The “corridor of dying,” according to Vladimir Kustov, a founding member of necrorealism in 1970s Russia, refers to the interval between life and death, that unrepresentable purgatory. Both the movement and its art was an epiphany for me. The stark necrorealist paintings and black-and-white film footage that I saw in the museum helped me visualize the long corridor of dying that we have been collectively traversing during the past 30 years of the history of AIDS. There really is only one argument that I want to make in this book (which, by the way, was eventually compressed into merely 268 pages, coming to under 10 pages per year of AIDS history, in case you are looking for quick reads on world affairs!). Beyond the concrete gains that the movement realized in terms of increased funding, treatment access, and millions of lives saved and prolonged, the single biggest achievement of AIDS activism over the past three decades lies in the fact that the movement has exposed the fundamental legitimation crises of four contemporary regimes of power: scientific monopoly, market fundamentalism, governance statism, and community control. Activists have cracked open the formerly closed doors of knowledge and power networks and forcing them to diversify and democratize. This is obviously a contentious argument to make. Is the glass half full, or half empty? Have activists brought some fundamental changes to global health governance, or have they failed? Let me hear your thoughts! Welcome to the corridor of dying . . .
Jennifer Chan is an associate professor in the Institute for Gender, Race, Sexuality, and Social Justice at the University of British Columbia. She is the editor of Another Japan Is Possible: New Social Movements and Global Citizenship Education and the author of Gender and Human Rights Politics in Japan: Global Norms and Domestic Networks. 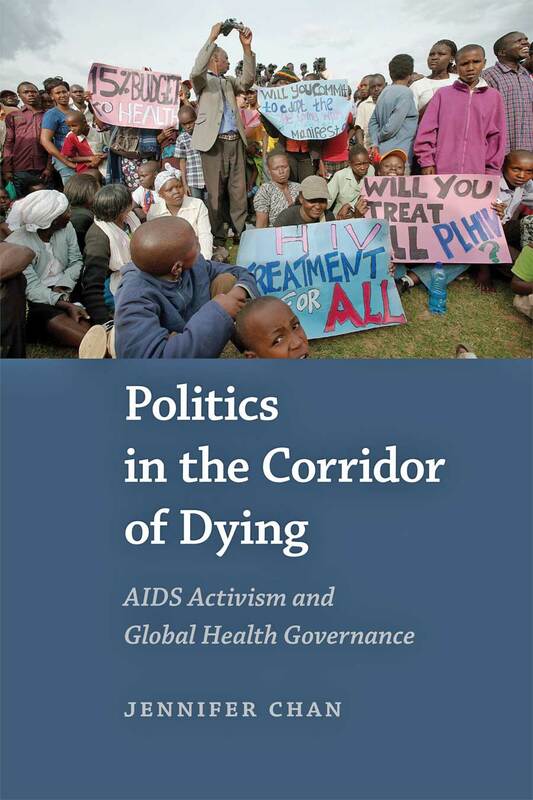 Her most recent book is Politics in the Corridor of Dying: AIDS Activism and Global Health Governance. Sociologist Renée C. Fox considers how communications from Médecins San Frontières/Doctors Without Borders keep her connected with the achievements, trials, dreams, and values of medical humanitarian action. She is the author of Doctors Without Borders: Humanitarian Quests, Impossible Dreams of of Médecins Sans Frontières, published by Johns Hopkins Press. I first became aware of Doctors Without Borders/Médecins Sans Frontières (MSF) in 1993 and I began to explore the possibility of making a sociological study of this medical humanitarian organization. Some twenty years later my long, questing relationship to MSF in the role of a participant observer—or what some of its members refer to as an “inside-outsider”—is the basis for my newest book, Doctors Without Borders. It is reasonable to assume that my involvement with MSF will wane with the publication of this book. But I don’t think this is likely to happen. The values and principles that MSF espouses, its world-view, and the way that it translates its precepts and vision into action and deals in its “culture of debate” with the intrinsic challenges and dilemmas that humanitarian action entails, continue to strongly and deeply link me with it. So does the fact that it is a medical, social, and moral exemplar for many of the students I have taught. Virtually every day I search MSF’s multiple websites for its latest reports from all the places in the world where its personnel on the ground are dealing with the ravages of natural catastrophes, epidemics, massive malnutrition, violence, armed conflict, large-scale displacements of populations, and refugee influxes. It is not only MSF news bulletins that I seek, but also the richly descriptive and moving blogs from the field, where MSFers write about what they are observing and feeling as they carry out their work, including first-hand testimony about human rights abuses and what MSFers perceive as inadequate responses to the humanitarian crises they face. I also correspond via e-mail with numerous members of MSF with whom I have established enduring relations, who keep me informed about their activities and about the salient events and issues with which MSF is grappling. As I write this blog, I am preoccupied with the announcement made by MSF on the first of March that, after two decades of work in Myanmar, it was “deeply shocked” to have been expelled from the country by the government. The precipitating factor in this expulsion was a report by MSF that it had treated some two dozen Rohingya Muslim patients in a community in Rakhine State. The Muslim patients had been attacked by local Buddhist civilians and security force members, many of whom belonged to an extremist Buddhist group in predominantly Buddhist Myanmar. The government repudiated the MSF report and denied the occurrence of an earlier, more serious attack on Rohingya Muslims in the village of Du Chee Yar Tan that resulted in the deaths of at least forty men, women, and children, according to the conclusion of a United Nations investigation. “Today for first time in MSF’s history in the country,” MSF declared, “HIV/AIDS clinics in Rakhine, Shan and Kachnin States, as well as [in the] Yangon division were closed and patients were unable to receive the treatment they needed.” These clinics served more than 3,000 people with tuberculosis, as well as 30,000 HIV/AIDS patients. The enforced departure of MSF would have the most drastic effect on Rohingya Muslims in the northern villages of Rakhine State and in government camps, for whom MSF was the primary and often the sole provider of medical care. In March 2014, MSF launched an emergency response as soon as it became apparent that an outbreak in Guinea of one of the most deadly forms of Ebola virus disease had threatened to reach epidemic proportions. According to its reports, MSF immediately flew some thirty-three tons of medical supplies to Guinea, including “supplies necessary for isolating patients, putting sanitation measures in place, and protecting its teams.” Twenty-four MSF doctors, nurses, logisticians, and hygiene and sanitation experts were already in the country (where MSF has been present since 2001) running projects to treat HIV/AIDS and malaria. “We’re working together with MSF on upgrading screening for HIV, TB, sexually transmitted infections and related conditions in the prisons,” she wrote. She expressed particular enthusiasm about the expansion of Teen Clubs for HIV-positive adolescents that she and her colleagues had created. Dignitas is “full of former MSFers,” wrote V.S., “so I’m still close to the fold.” She plans to return to MSF when the work with Dignitas is done. Communications like these news dispatches, reports, testimonials, and letters continually connect and re-connect me with MSF, the achievements and trials of its medical humanitarian action, its value-commitments and community—and its dreams. Renée C. Fox is the Annenberg Professor Emerita of the Social Sciences at the University of Pennsylvania. She is the author of Experiment Perilous: Physicians and Patients Facing the Unknown, In the Belgian Château: The Spirit and Culture of a European Society in an Age of Change, and In the Field: A Sociologist’s Journey and coauthor of The Courage to Fail: A Social View of Organ Transplants and Dialysis and Observing Bioethics. Renée Fox’s recent conversation with Baltimore’s NPR affiliate, WYPR, can be heard here.